My fondness for a good ’gourmet-ish’ burger has been a never-ending one. 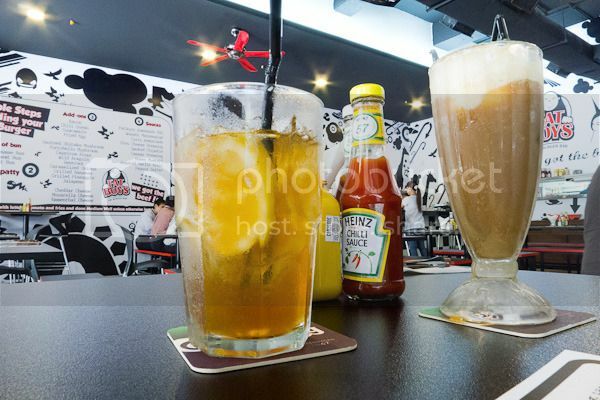 The first time I had a good burger was at The Daily Grind in Bangsar. That was aeons ago. But ever since then, my search for a good burger has been intensified, albeit lazy attempts, and I found my favourite one as far as in Singapore (here). Anyway, as usual, thanks to the power of Internet, I got to know this place which is quite close to where I am currently working at (yay!). 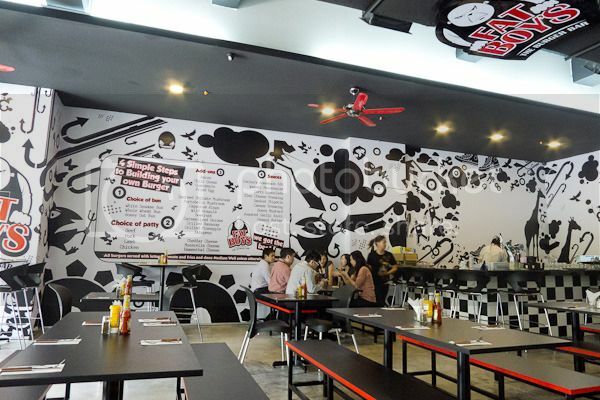 Famous for its burgers, it said that its origin is from Singapore and when I realised how famous it was, the facepalm moment hits me like a freight train because I’ve not tried them at all despite my frequent trips to Singapore in the past years. Nevertheless, they are here in Malaysia! 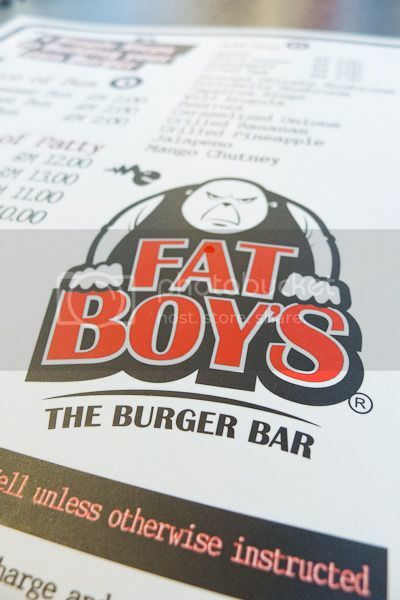 One of their major enthrallments is the ability to let loose your invention and customise your very own burger. With 3 types of bread, 3 types of meaty patties and numerous toppings and sauces, there should be more than tens of combinations to try. The one I ‘created’ the other day consisted of honey oat bun (RM2), pork patty (RM11), bacon (RM3), fried egg (RM2.50), shiitake mushrooms (RM3), caramelised onions (RM2.50), cheddar cheese (RM2.50) and garlic aioli (RM1.50). Despite its massive appearance, the burger somehow felt underwhelming as the thick pork patty was lacking in taste. I would not say it was bland, but I guess some special ingredient and seasoning would definitely help in flavouring. 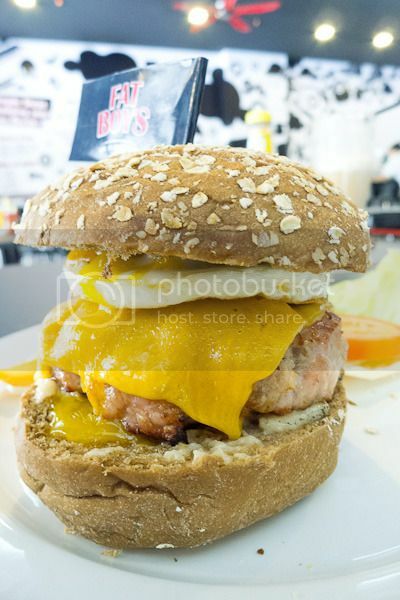 A burger like this would set you back RM28 (excluding tax and charges). 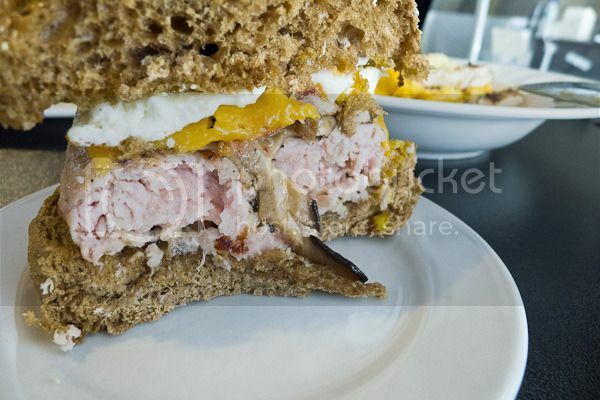 Other than burgers, they do serve dishes like appetisers, soups, salads, sandwiches and main meals. 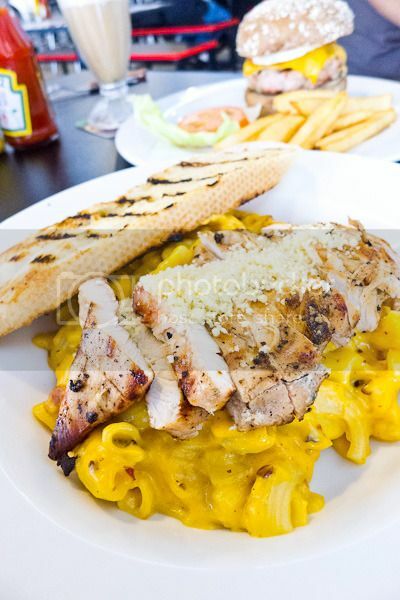 The one shown below is their interpretation of American classic; Mac and Cheese (RM18). Rich, thick and sinful, each bite was filled with full of cheesy guilt. The grilled chicken breast was tad dry but it was all good to go with the pasta. The garlic toast that came along was over-charred, making it close to inedible. However, the waitress (or the manager) was glad to replace it with a new one, albeit a smaller, soft piece. All in all, with my subsequent visit in consideration, this place is a good place to go to for a proper burger. The ambiance was lively with tables and benches arranged orderly. The service during my two visits were alright despite understaff during peak hours. The burgers that I tried were a-okay but their patties could be improved further. Nevertheless, this will not refrain me from visiting them as I foresee there will more visits to come!